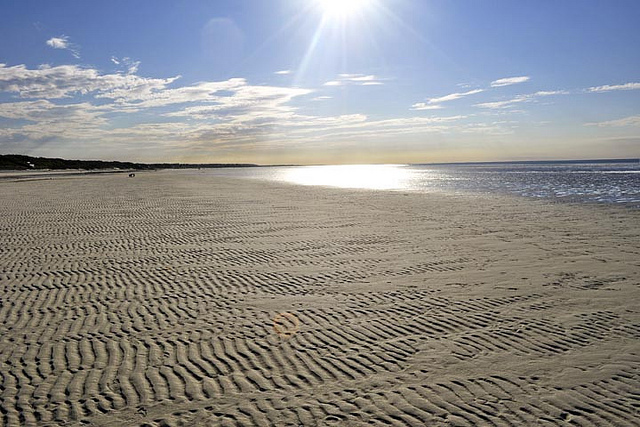 Miles of Brewster flats appear during low tide. If you’re ever looking for a beach getaway, and you happen to like New England, great pastries, and to-die-for fried clam strips, then Cape Cod is your place. Comprised of fifteen towns, Cape Cod boasts an expansive activity repertoire, ranging from walking the legendary flats of Cape Cod Bay, to watching whales in the waters off Provincetown. Look for more photos later, but in the meantime, we think today’s Instagram shot from a Cape beach will hold you over.